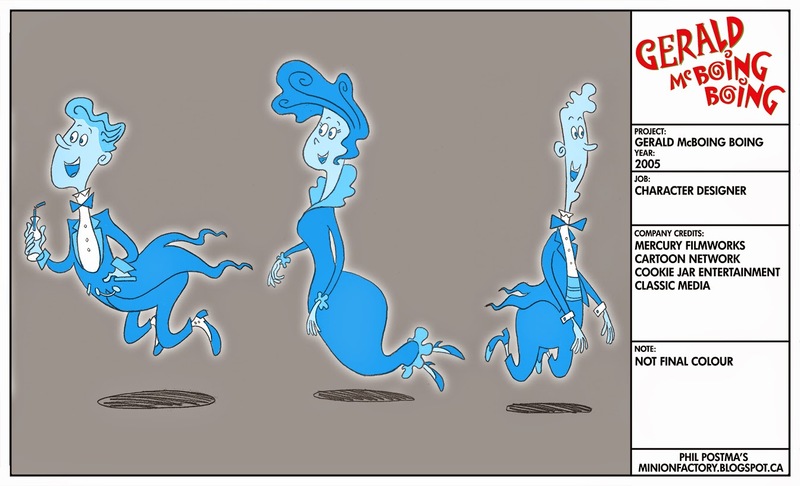 I have always love the old Gerald cartoons from the UPA studios, so you can imagine how excited I was to work on the new version. 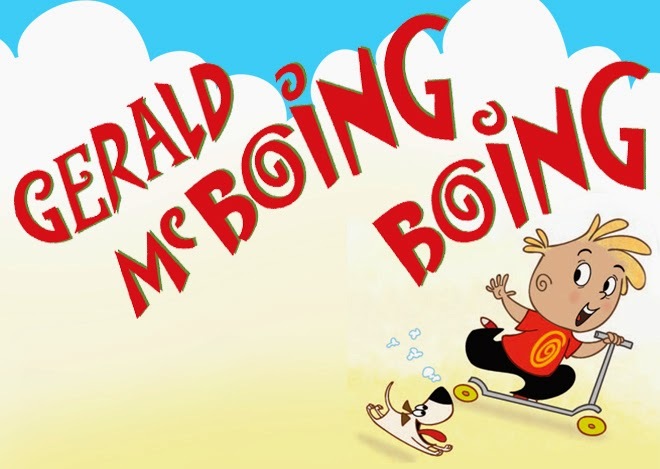 The show itself was chopped up into lots of little shorts about Gerald and his friends getting into all kinds of trouble in all different time periods. 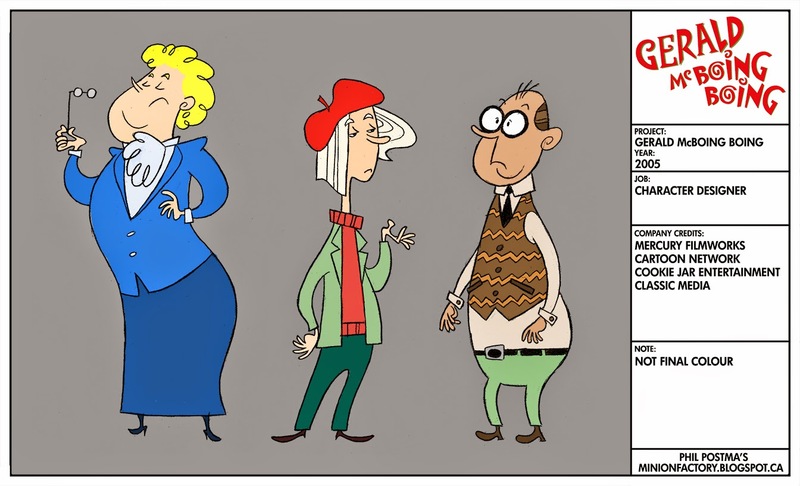 The show also contain stories with Gerald having fun with his mom and dad in more modern situations. 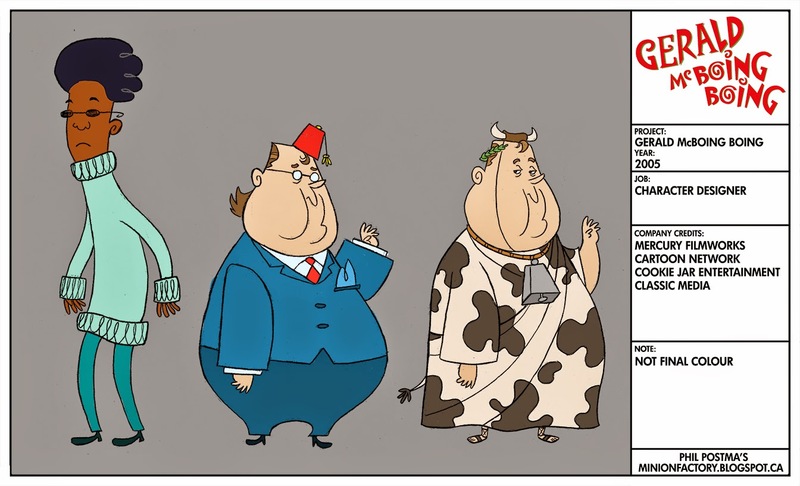 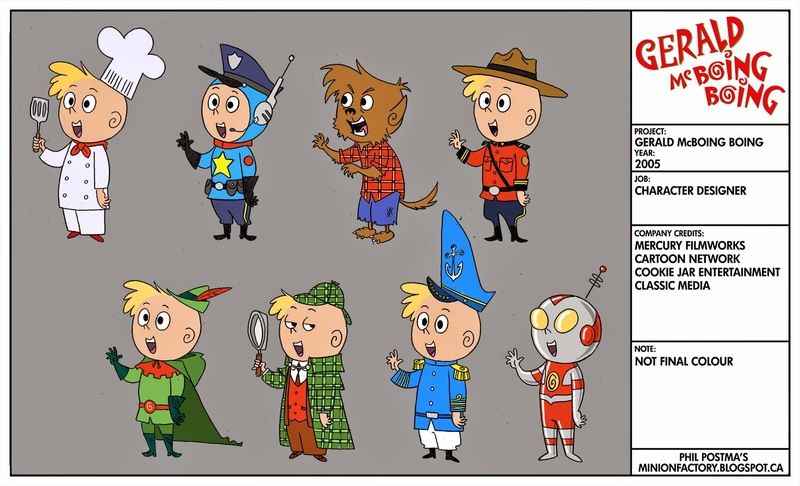 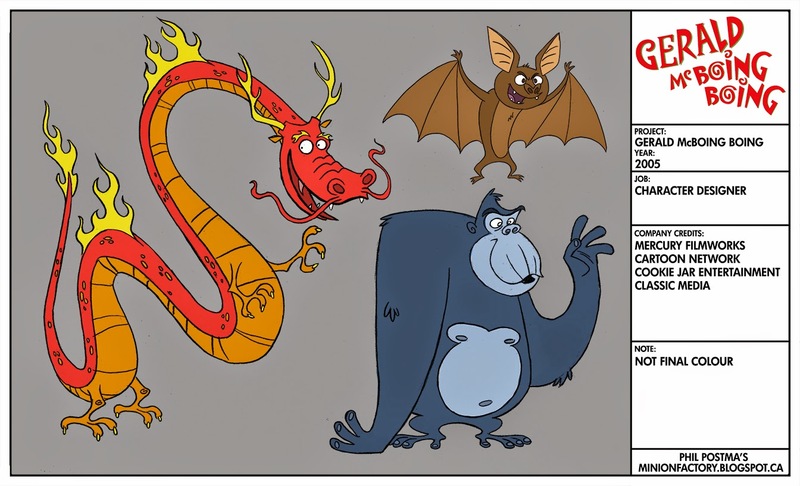 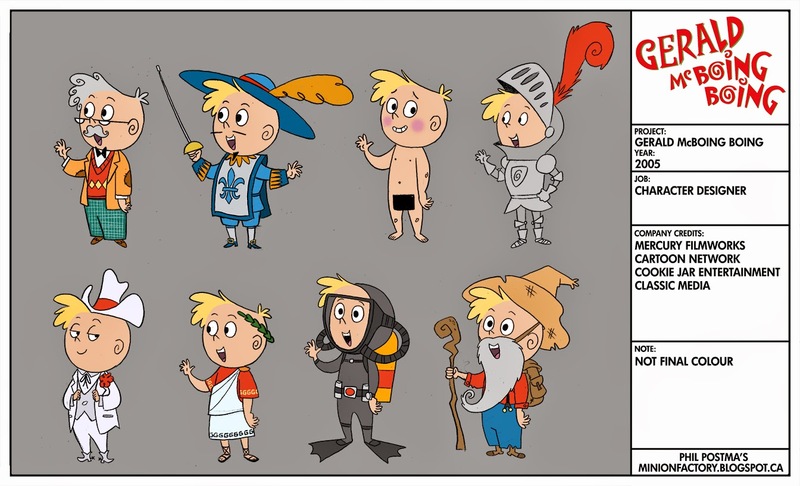 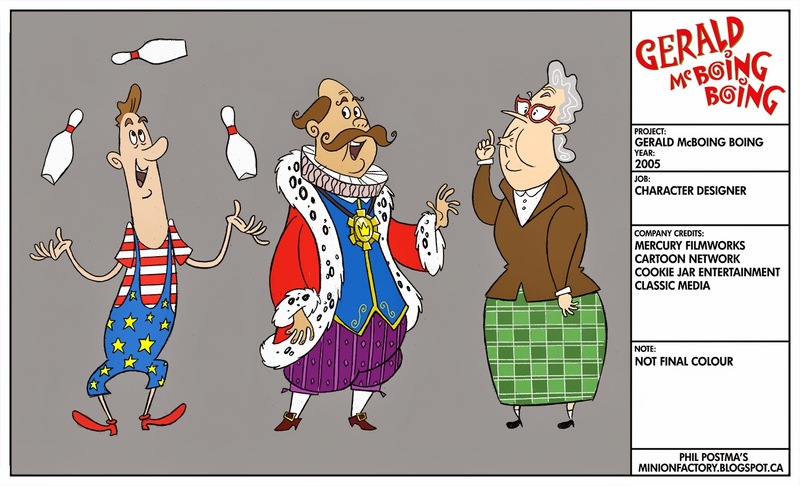 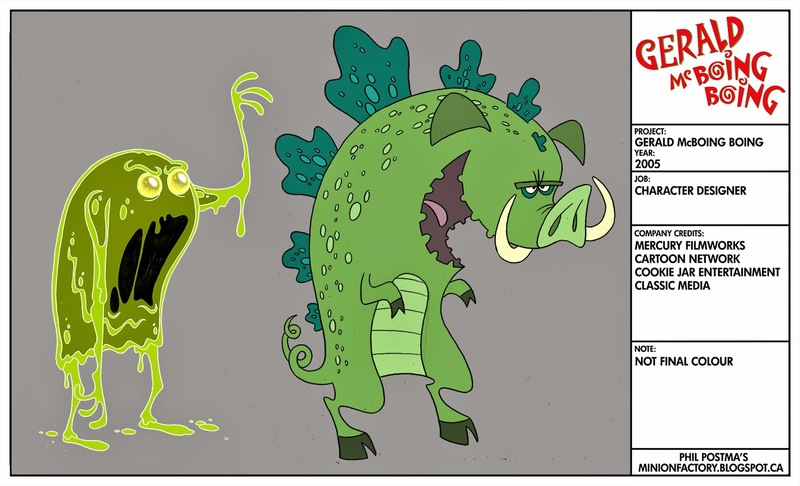 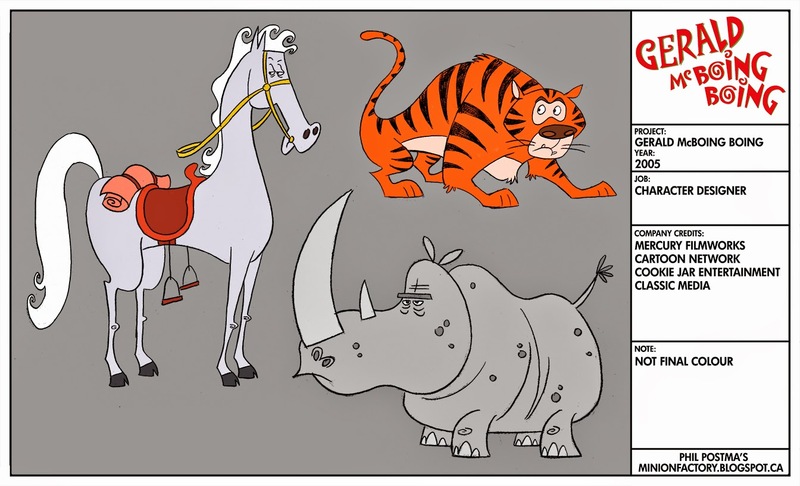 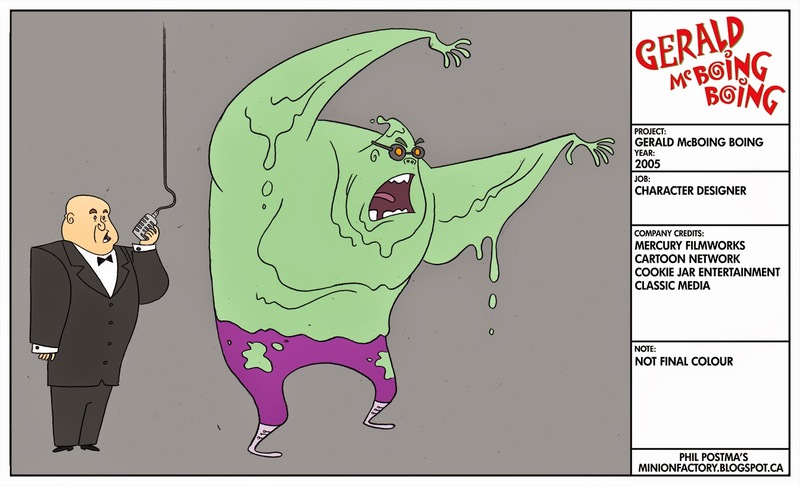 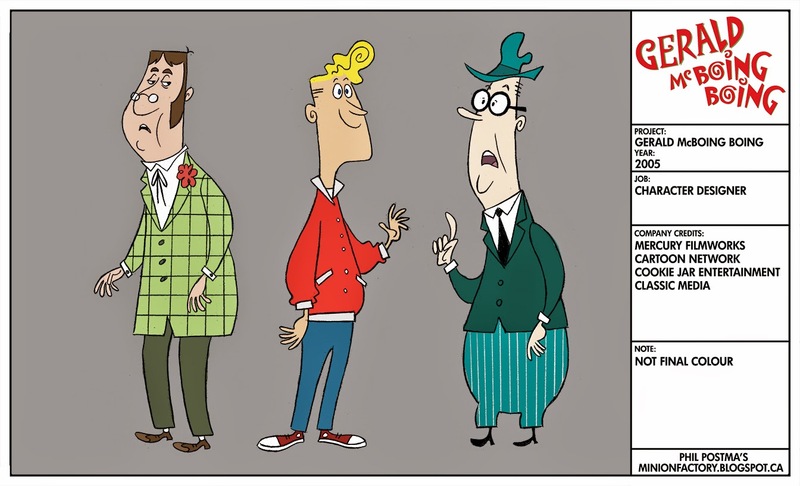 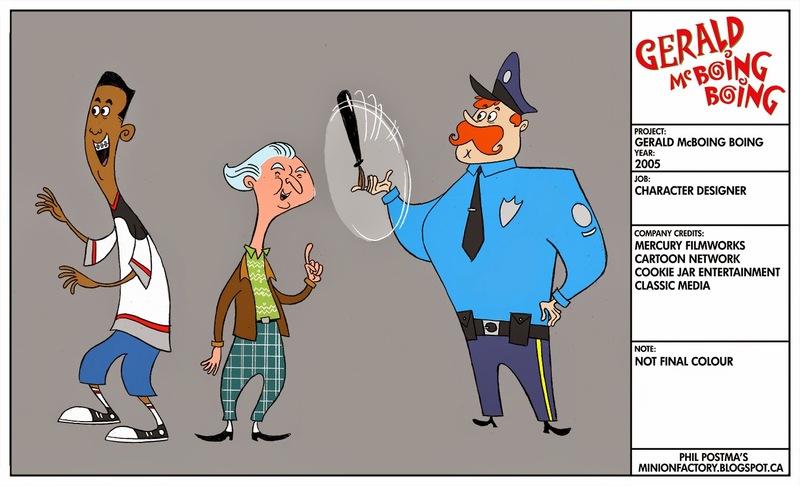 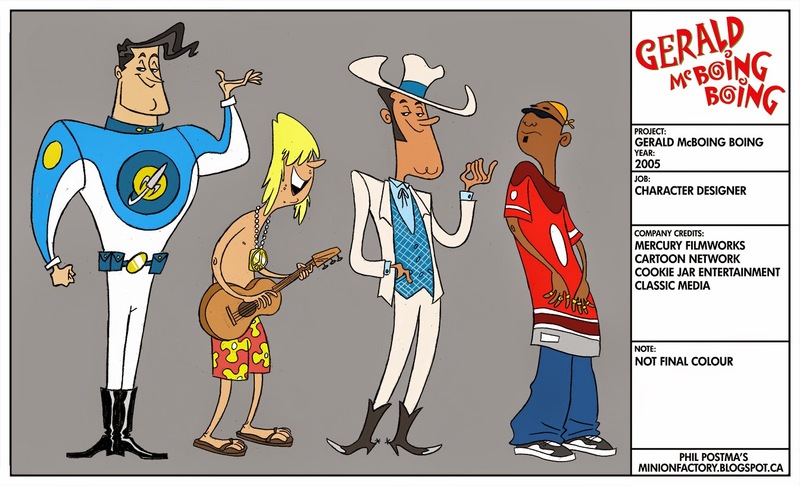 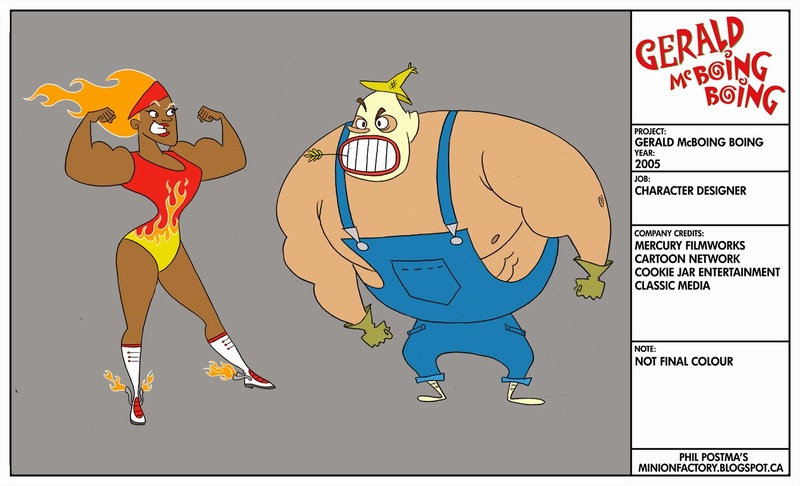 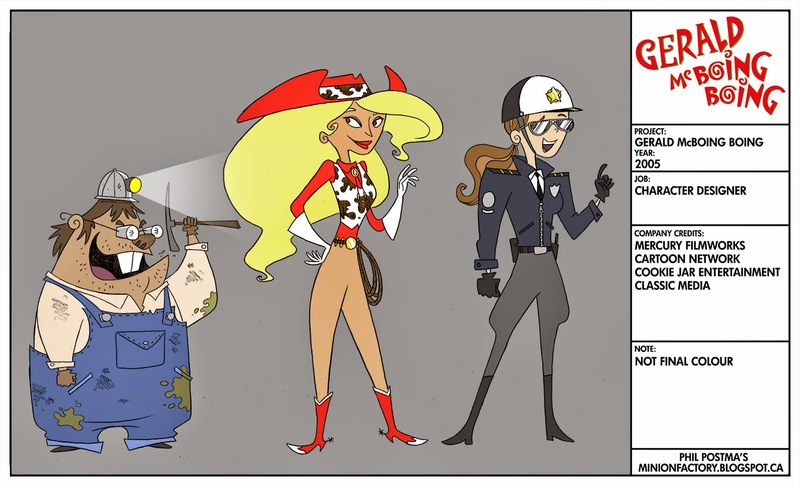 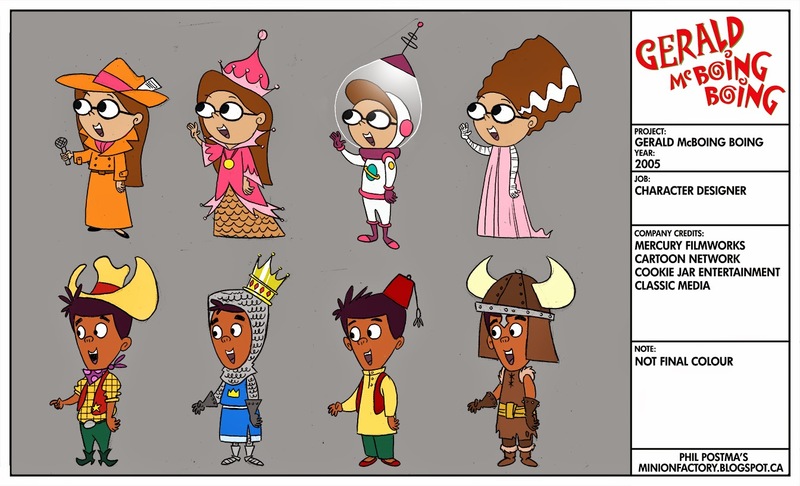 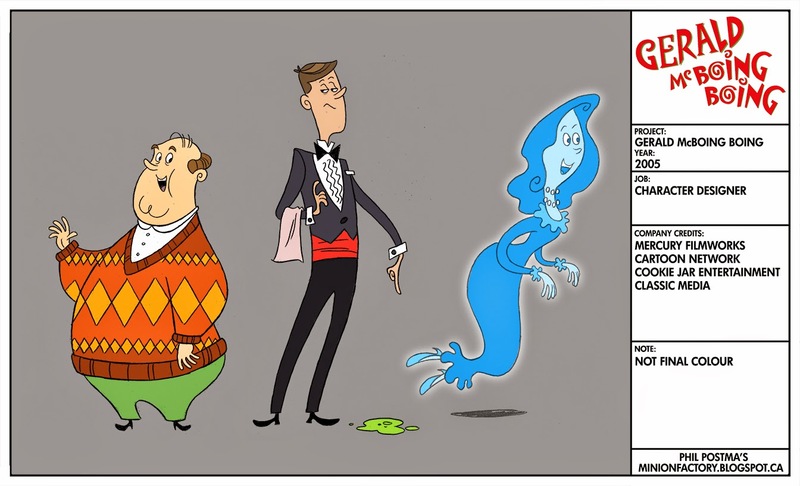 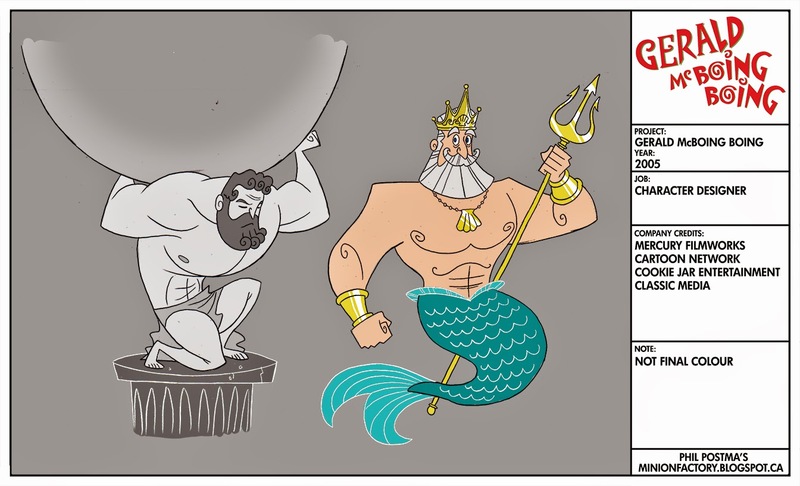 The show was designed to look as close to the old cartoons as possible with some exceptions. 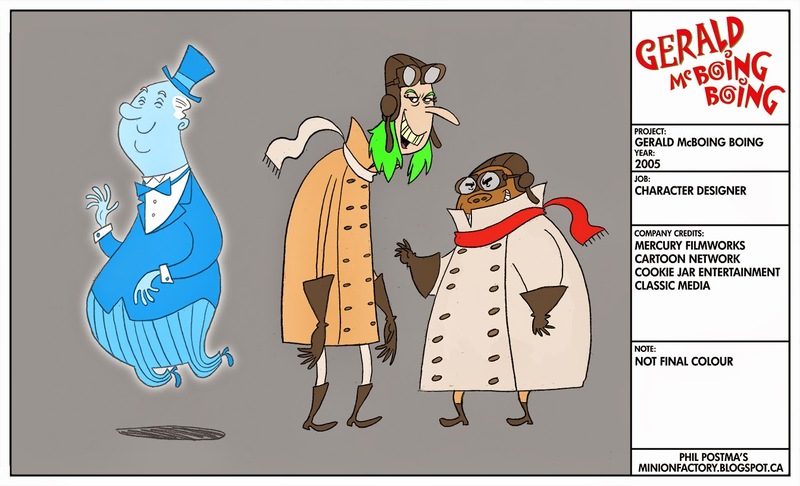 The UPA studio shorts of the past were for a general audience so things were changed by adding a lot more color and flare to it for the younger viewers.They look a lot better on screen than what I was able to do here for the colors and without backgrounds they fall kind of flat. 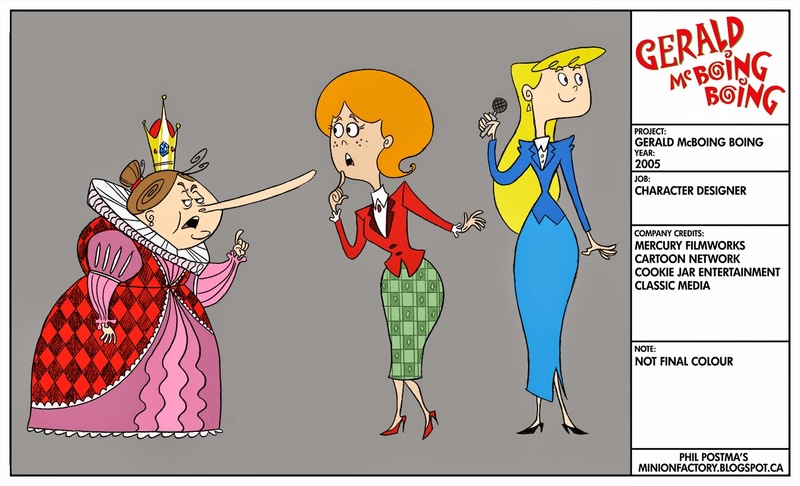 You can check the show out on "YouTube" and you will see what I mean.